When these arrived on my doorstep last week I was more then excited to try them out and experience these new products. Blinc very kindly sent me the Black Lash Primer*, the Blue Eyeliner Pencil* and the Blue Mascara* after showing interest in the vibrant shades they have to offer. 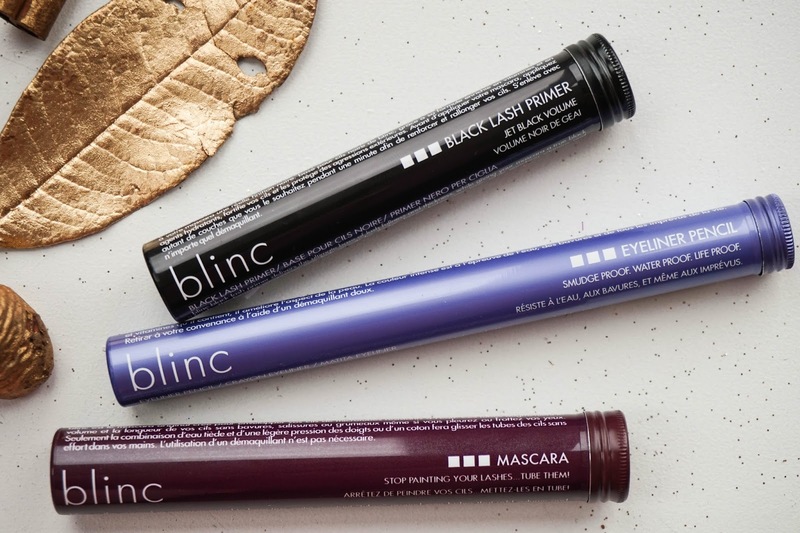 If you haven't heard of Blinc yet let me just tell you a little bit about them by first of all sharing their motto "Stop Painting Your Eyelashes… Tube Them". Straight away you can see that Blinc offer tube technology mascara which is waterproof and smudge proof, but really simple and easy to take off at the end of the day. I rarely use waterproof mascara because I just hate having to rub at my eyes for ages until I know all the product has been removed. 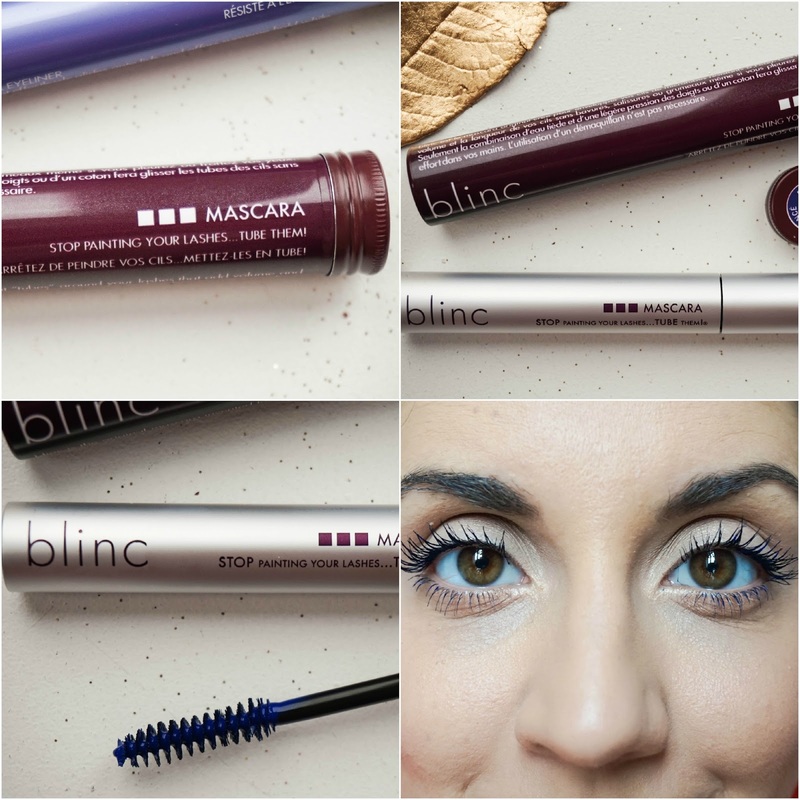 Since Blinc Mascara forms tiny tubes around your lashes, all you have to do at the end of the day is use your regular makeup remover or even plain warm water, with some gentle pressure on your lashes as the tubes of mascara simply slide off your lashes. It really is so cool to see and I just love taking my makeup off for that reason (I'm a kid at heart I tell you). The same concept doesn't apply for the rest of their line such as the eyeliner or lash primers, but I have still found them really easy to remove by the end of the day even though they are smudge proof. 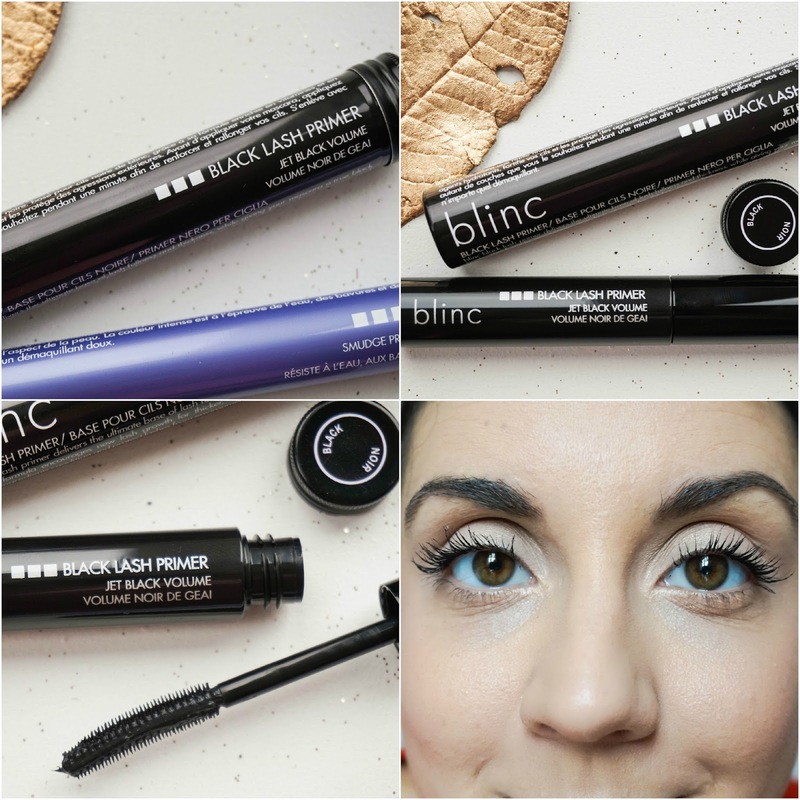 First up is this Black Lash Primer which to me was always a step I never looked at when it came to my mascara thinking that the last thing I need is one extra product in my routine. However I have been totally converted, just look at how amazing my lashes look with just one simple coat. They have so much volume with an intense black colour to them. I have been using this regularly since receiving it because it actually speeds up my mascara process since all I have to do after this step, is to add a light coating of regular mascara and I am good to go. This is probably my favourite out of the bunch, I just love it. I probably shouldn't have used an intense black primer right before putting on this vibrant Blue Mascara as it is definitely more difficult to see the just how gorgeous this blue shade really is. I think this would work perfect with a white lash primer because the colour would be intensified. I really love the mascara and I've been using it on it's own a few times if I want to go for a look that is just that little bit different. Each time I have got compliments from people as they look intensely at my lashes (to my embarrassment). 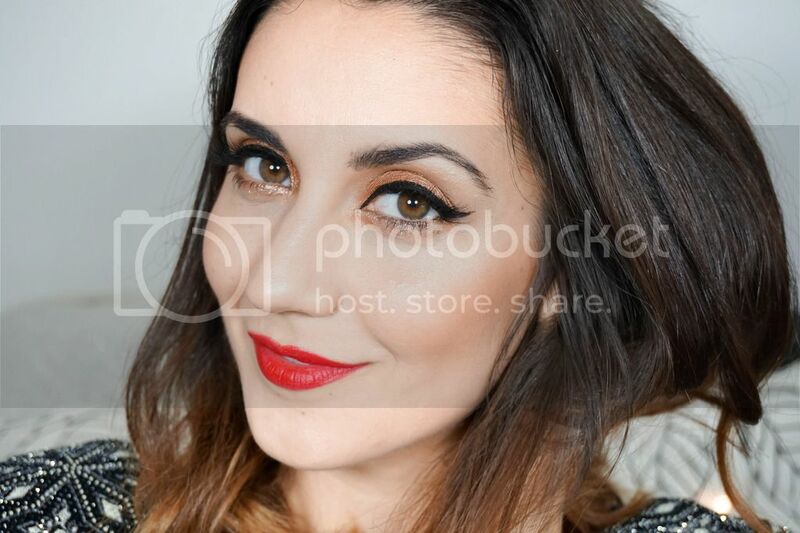 What I will say though is that this mascara is not really one for a dramatic and voluminous look. It is definitely for more of a daytime look because it's not one that you can layer again and again until you are satisfied with the volume. Because of the tube technology once it dries, it is pretty much set and the one thing I found helpful if you want to go for more volume in your lashes is to use a lash comb before it dries. One of the girls I work with has the brand's other mascaras Amplified and that is the one to go for if you are looking for volume because the brush is much bigger and you can apply as many coats as you like. However that version doesn't have the many gorgeous shades on offer like the original, so it really is a preference thing. 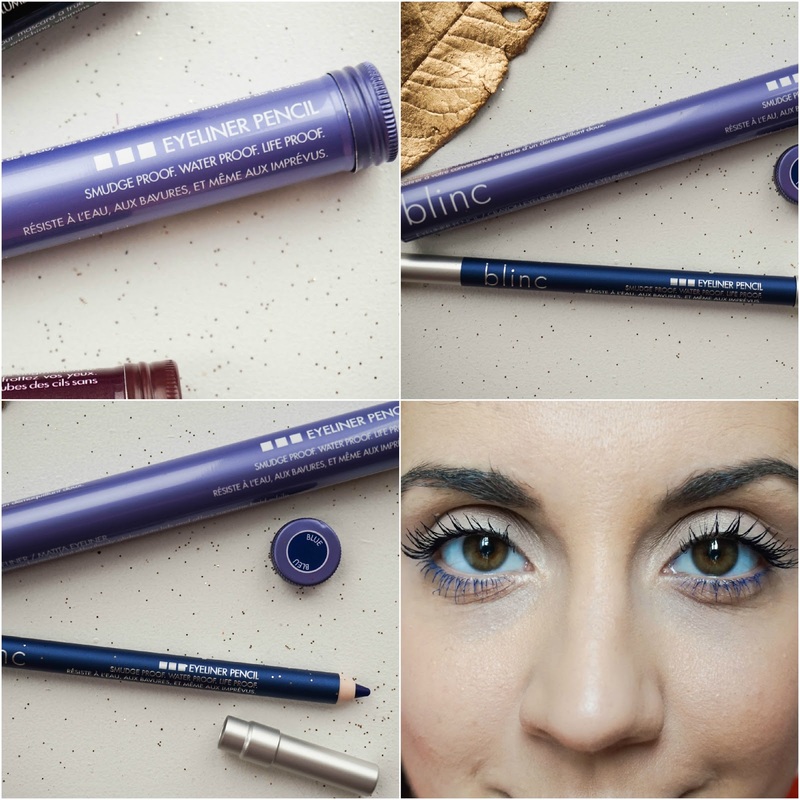 Last product is the Blue Eyeliner Pencil which has a creamy formula that again doesn't budge until you want it to. I'll be honest here I am definitely more of a gel or liquid eyeliner type of gal because I just find them easier to work with (after many years of practice) and also because pencils just don't offer the same kind of definition. However this is a nice addition to my makeup stash and one that I will continue to use like in the photo above or even experiment more with on my upper lid. Again the shade selection of these is amazing with so many gorgeous colours to choose from, so if you are an eye pencil lover these would definitely be a good addition to your makeup collection. So that's all from Blinc today and I am so pleased with the quality of the products, especially the Black Eyelash Primer in particular. I have heard some great things about their Eyebrow Mousse, so I will definitely be checking that out next. Have you tried anything from this brand before? *PR Samples sent for review.